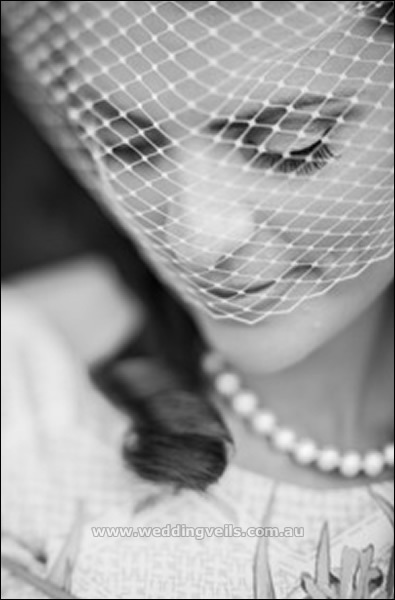 Add glamour in an instant with the Diva bird cage veil, made from French netting. 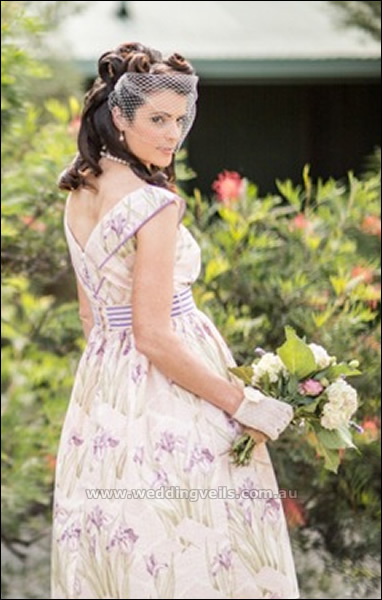 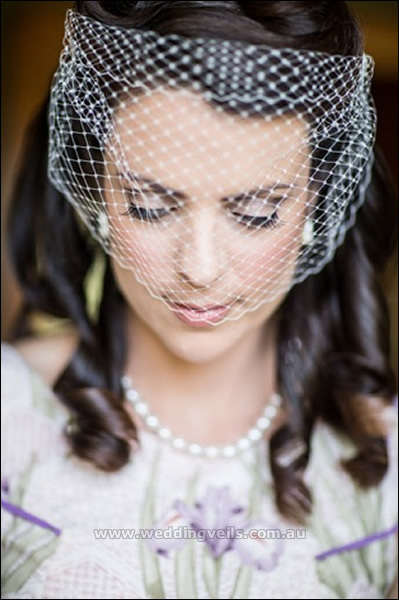 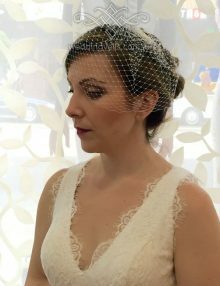 This bandeau style birdcage veil is designed to be worn across the eyes. 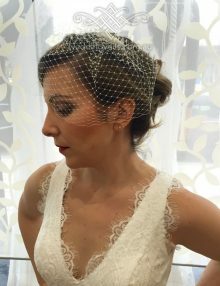 Has small loops on each side which are used with hair pins to position the veil in place.